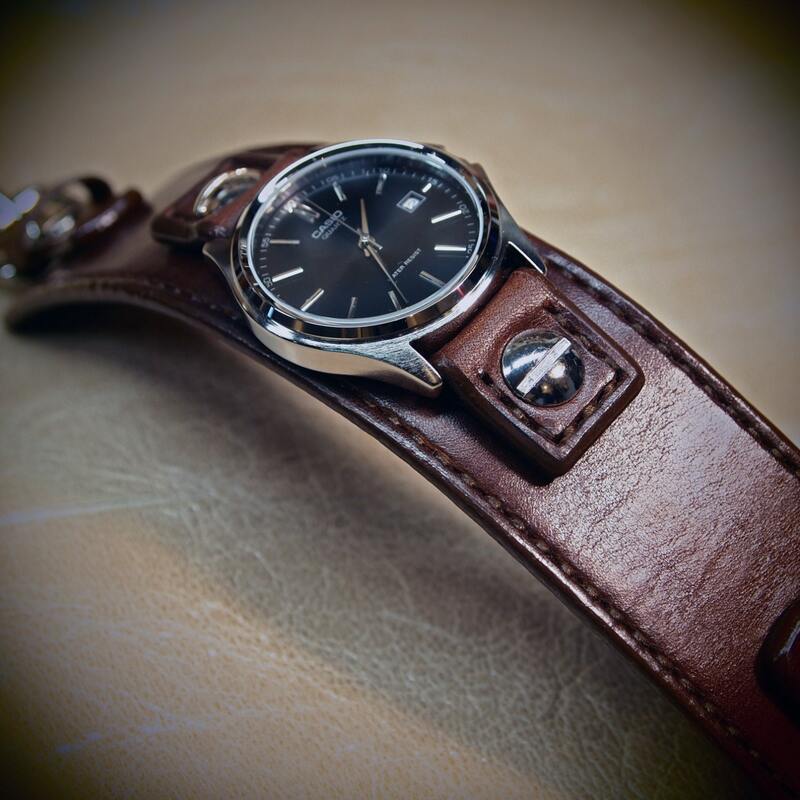 This brown Leather cuff watch is made using high quality Deep Rich Brown American bridle leather. 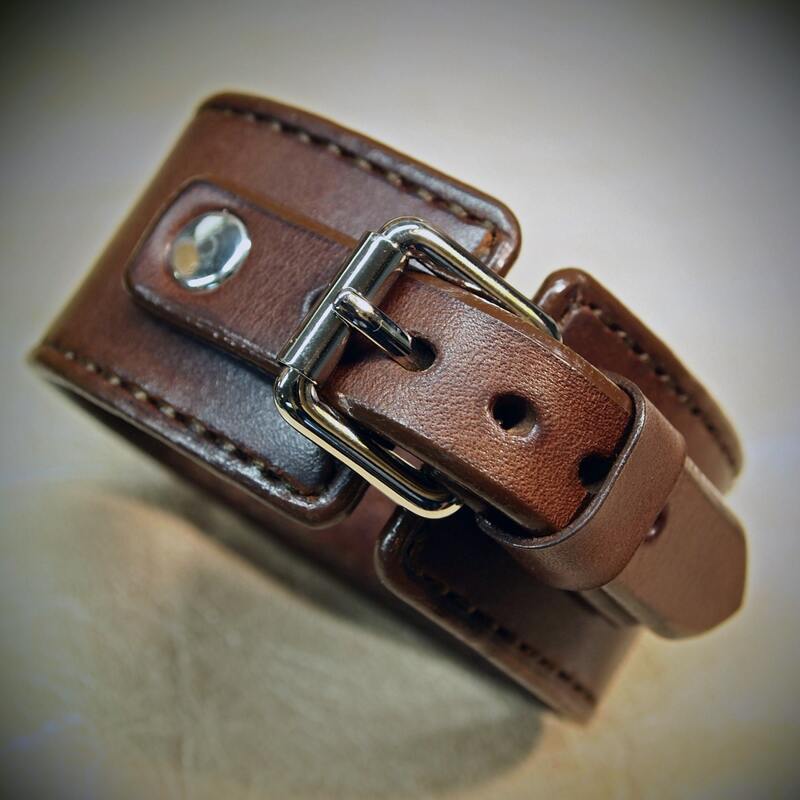 It is 1-1/2" wide and handstitched in brown thread along the edges and watchtabs and closes with a high quality roller buckle. 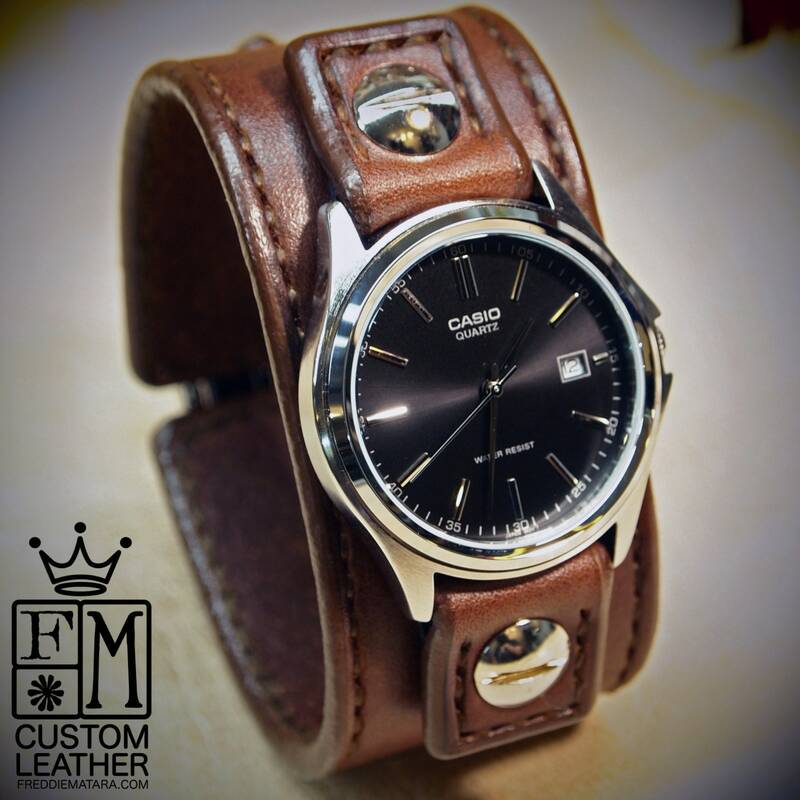 A classic Casio watchface with a black face, date feature and water resistant movement sits atop! 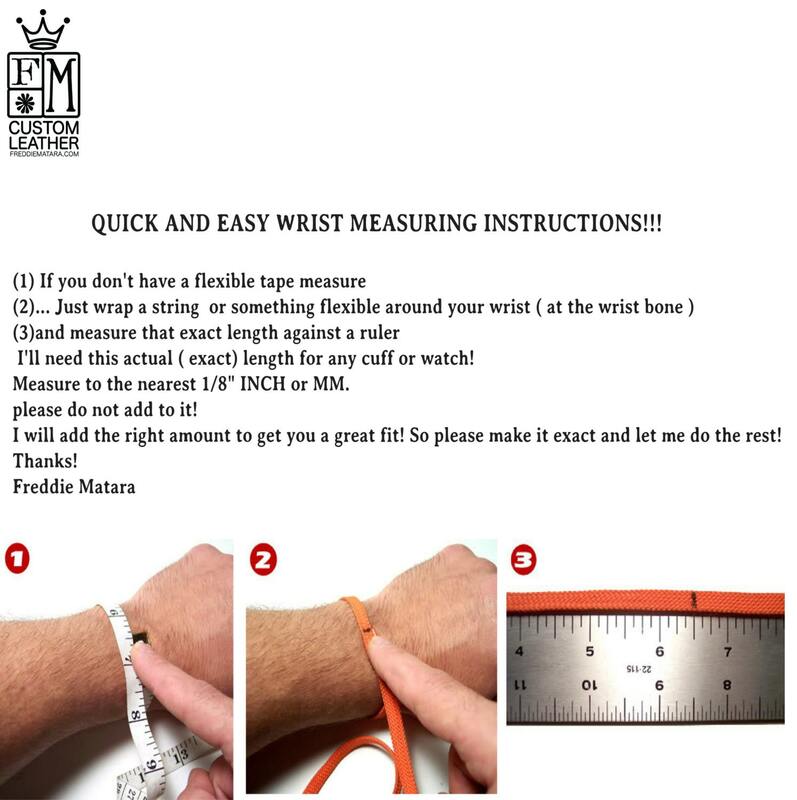 I'll need your wrist size for this watch. Please use the instructions in the above pics! It can be sized for guys or girls! Thanks for checking out my work! I use a fine hand in my work bridging the gap between craft and art and truly love making You Quality leather wristwear.